Black Panther trashed the box office over the weekend, setting the record for fifth-biggest opening of all time and the second-biggest total for a four-day weekend with $242 million in the U.S., and earlier this week it beat Star Wars: The Force Awakens for the biggest Monday haul ever with $40.2 million. 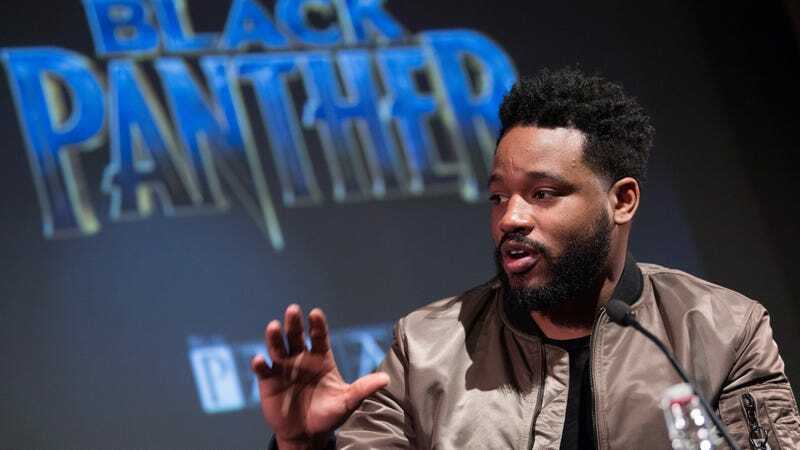 All of this success has touched director Ryan Coogler, who wrote a letter to fans this week thanking them for their support and their enthusiasm. In the note, Coogler thanks all of the people who helped make the film and says that “never in a million years” did he imagine that people “would come out this strong” for Black Panther. He also says that seeing people waiting in lobbies “wearing clothing that celebrates their heritage” or taking pictures next to the posters was very moving for him and his wife. Deadline has a full transcription of his note, in case Marvel’s Twitter photo up above is hard to read.